Creative technologists, interaction designers, artists and academics will gather this weekend (9 March) to look at how rapidly emerging technologies are changing creative practices, discussing the challenges and opportunities currently facing their respective fields. The one-day MOVE symposium, presented by Sydney Design Festival and UNSW Art & Design, will explore the development of art and design practices into the world of interactive media, robotics, data visualisation, augmented, virtual and mixed reality, interactive sound and other areas of media, arts and technology. “MOVE looks at any type of technology that is part of the new wave of media experiences,” says Dr Oliver Bown, the symposium organiser and co-director at the Interactive Media Lab at UNSW Art & Design. The symposium will be held at the faculty’s Paddington campus and is organised around two key themes – Lights, Data and the City, and Creativity, Interaction and Computational Intelligence. The themes will look at emerging jobs and new fields of creative activity, the effect artificial intelligence (AI) is having on creative production, the ease with which complex and dynamic interactive media content can be produced, and the changes to the landscape of access and inclusion that these transformations bring. The Lights, Data and the City session will be moderated by the Interactive Media Lab’s other co-director Dr Patricia Flanagan, who has a background in human computer interaction and public art and leads research into wearable technology at the UNSW Art & Design Creative Robotics Lab. Other speakers include Paula Bray, the DX Lab Leader the State Library of New South Wales, and light artist Bruce Ramus. “Bruce provides the symposium with a good example of how things are working in the real world,” Dr Bown says. The MOVE symposium will also include international guests, one of whom is Professor Garth Paine, an expert in embedded and spatial audio systems from Arizona State University (ASU). He and Dr Bown are looking at potential course co-development on microcontrollers as musical and networked devices. “Oliver Bown and I secured some funding from the PLuS Alliance to do an academic and student exchange between UNSW and ASU. The first phase of that is this visit and the workshops I'll be doing here,” Professor Paine says. 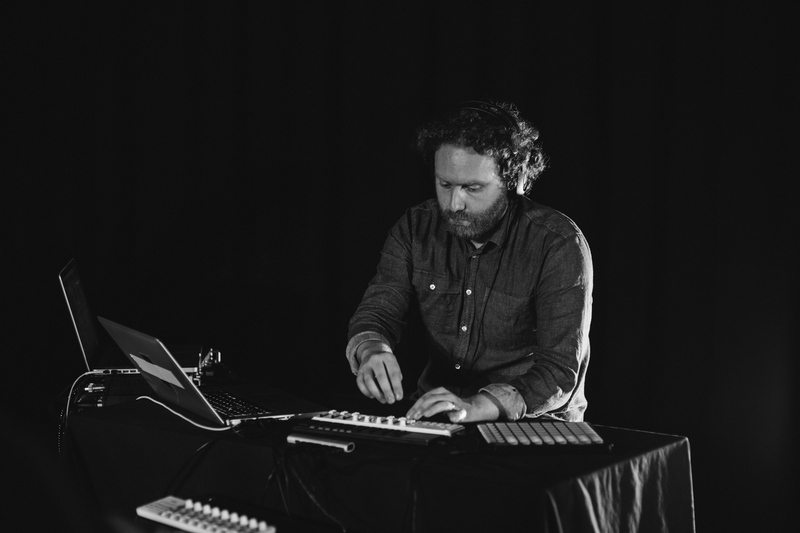 Professor Paine’s research focuses on sound as an exhibitable object, and he explores interactive environments, particularly where the sonic landscape is generated through gesture, presence and behaviour. “I'm a composer and performer. Much my practice as a musician has involved designing technologies, writing a lot of code and building new systems, and essentially thinking about the future of music,” he says. For the Lights, Data and the City session, Professor Paine will discuss his work in musical instrument design and conduct a live performance where the audience’s mobile devices will become part of the spectacle. “I'm presenting work that I've done over the last year – developing a new system where I perform concerts on everybody's cell phone in the audience,” he says. “I can send sounds and layers out to the phones and spatialise across the whole audience. There's a whole variety of sounds going across the phones so it's not like every phone is always doing its own thing. Sometimes it is. Sometimes the phones are doing things together. It varies depending on the piece and how I'm performing it. Dr Bown will moderate the session on Creativity, Interaction and Computational Intelligence. He says a lot of people ask: are machines going to start doing creative work for us? “Certain fields of jobs have really progressed and are ahead of others. Music for one, and sound engineering and architecture are all very developed. He gives the example of advertising companies that have started employing creative technologies to assist with the data, tools and creative components of an advertising campaign. “These usually involve some form of collaboration between media people from various backgrounds and computer scientists. “You can have an idea but, if you don’t have an understanding of what the technology can do, then you need someone to come and build exactly what you need. “The aim of the symposium is to stimulate a conversation where people can showcase what others are doing. We want to give the opportunity to share and learn from one another about what the industry looks like, how it's changing,” Dr Bown says. “Another motivation is to engage our students in discussions around the kind of workplace they're going into. They need to be thinking about this and engaging with the technologies of the future, not just the present. Find out more about MOVE Symposium.